On 30 hectares magnificent nature directly on the white Baltic beach you will find a holiday paradise, you will love. Sunny or forested sites for tents, caravans and mobile homes with new sanitation will also inspire you. If you do not want to bring your "home", we offer 80 winterized cottages. 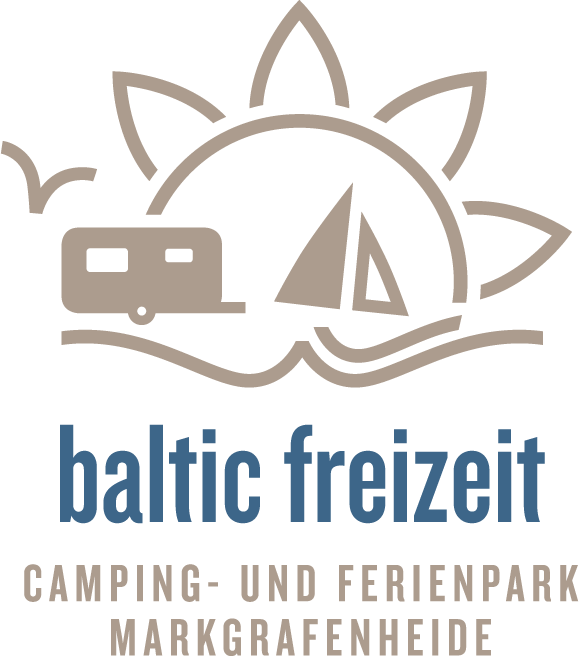 Here you can experience a wonderful relaxing beach holiday with a stunning sandy beach on the Baltic coast. Just total relaxation - lovely. Sorry? You want more? Then why won't you get physically active. For this, we have plenty of offers that the heart desires - such as mini golf, tennis or squash - with or without animation. Or would you prefer to live music and you want to have fun? Every Saturday in the season theme nights with live music. The outdoor cocktail bar is a popular meeting place. In spring and autumn the beach is ideal for walks. We also have the sauna and the cozy bar which can assist you in warming up. The baltic-Freizeit GmbH invites you: Let your soul shine, in every season. Feel free to browse through our pages and look at the many ways how you can enjoy your holiday in our accommodation.